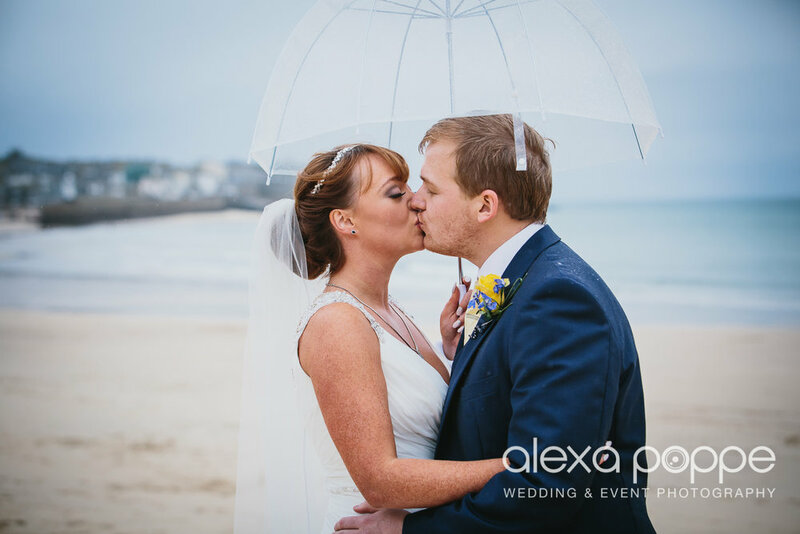 It rained all day on Jame's and Laura's wedding day in St Ives, Cornwall in late november. However it didn't stop us venturing down the Porthminster beach for some couple portraits equipped with umbrellas and several rain protectors including some waterproof walking trousers for my camera gear. Congratulations Laura & James! Thanks for being so easy going and making these portraits possible.. More from this wedding coming very soon..